Delay8 by ToneCarver is a Virtual Effect Audio Plugin. It functions as a VST Plugin. Delay8 has eight individual modulated delay lines which may be combined in serial or parallel chains. Each delay line has individual modulation, EQ, and panning. Global scaling knobs adjust the overall character of the effect. Stereo in, stereo out. Good for choruses, diffusion, modulated delays. Windows VST 2.4, x32 and x64. I can't download the zip file using the link provided here and at the tonecarver web site. the link points to a Dropbox link that says the file is no longer available. Any other way we can get this file? 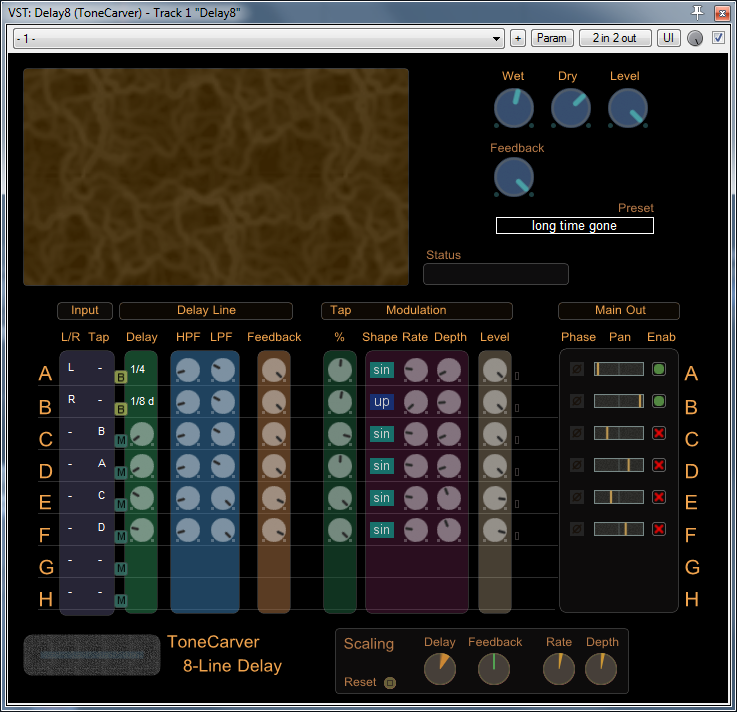 I was searching for a long time to find Delay8 (ToneCarver) VST Plugin. It is the ultimative Delay Plugin you will ever find.